Design: Three season free standing. This tent is a great, all-around. I bought it on SteepAndCheap when I first got back into backpacking and hiking. 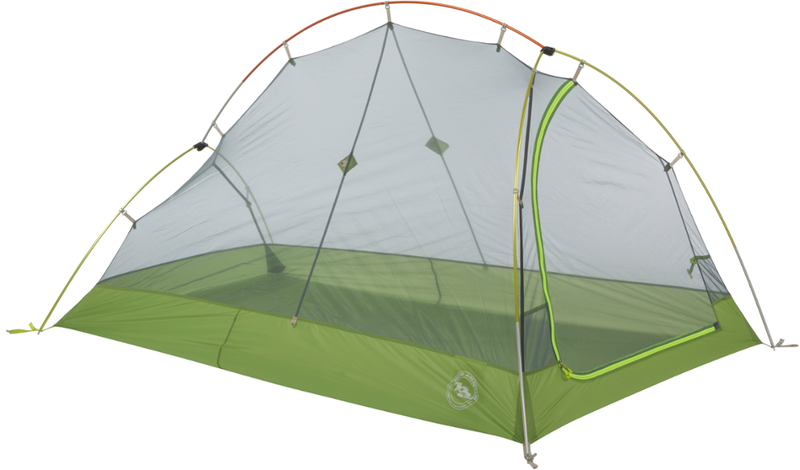 I have used my Seedhouse 2 for three summers now. I have used it in every outdoor condition from sunny and dry, to light snow and ice. Condensation is minimal, if at all. Even in driving rain I have managed to stay 95% dry. If you are not able to fully tie off the fly, some drops can manage to splash under and into the tent. I can comfortably fit one hiking companion and myself. The vestibule is just right for one full pack. Fitting two is a little tricky. I have even managed to fit my fiance, my 90lb American Pitbull and myself in without too much discomfort. A few features I enjoy are the loops on the inside ceiling for a shelf. The small window in the vestibule for warm, dry camp site inspections. And the "clip-in" design of the foot print and rain fly. Not to mention the simple one and a half pole design. I say "half" because, the miniature, single jointed pole that slips between the ceiling of the tent and the rain fly, keeping the fly taught, helping to shed water. 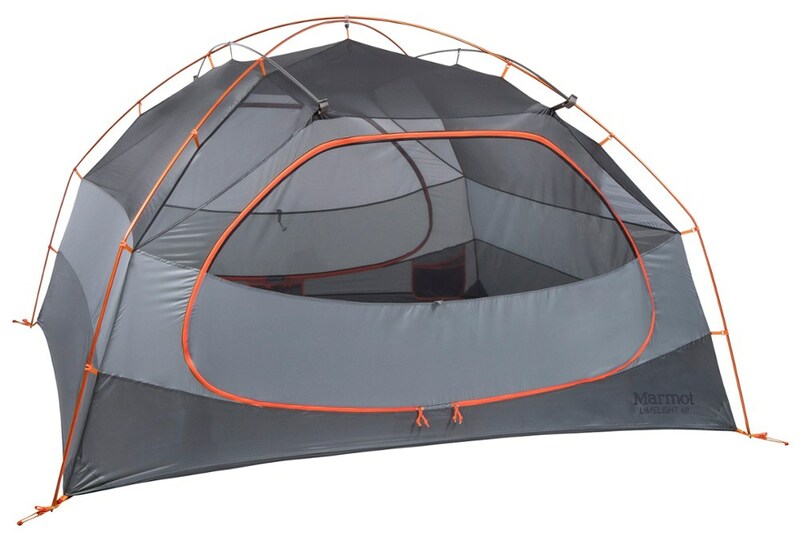 I'd recommend this tent to anyone, especially beginners as setup is so simple and the price is right. As always, try a few setups in your backyard during the day, and at night with a headlamp so you know youre way around when you actually get on the trail. If I had to change anything, I would go back and spend the extra cash to get the SL and save a few Lbs for other items I may want. But overall, this is an easy 5/5! 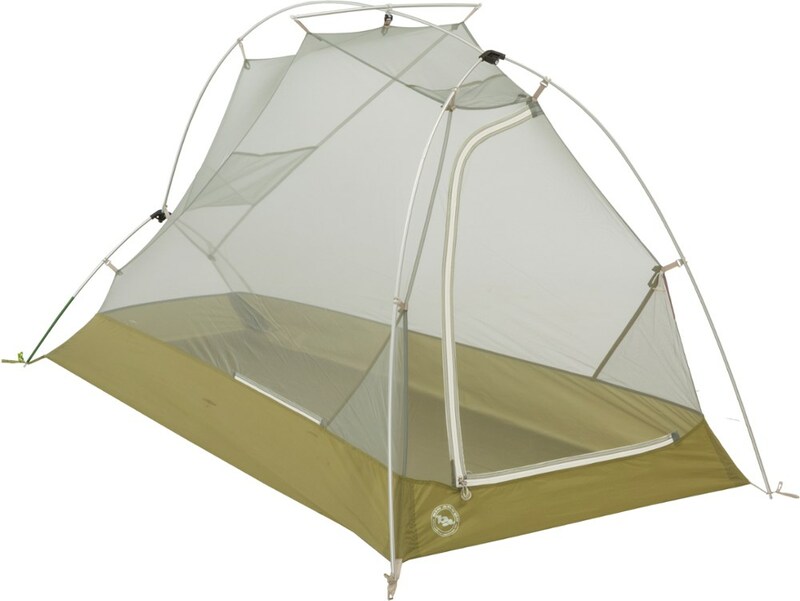 I bought the Seedhouse 2 for its simplicity and ventilation, both are excellent. I was easily able to set up my tent in 4 minutes after unloading my pack. I was able to set up my tent, un-roll my sleeping bag and start making lunch while the rest of the group was staking and guying out their tarps. I shared this tent with my hiking buddy and while it was slightly cramped for two adults it wasn't uncomfortable. We slept shoulder to shoulder because of its tapered design but once we were cinched up in our bags neither of us were bothered by the other during the night. Good weather was forecast so I left the rain fly off and enjoyed the night sky. Ventilation is still good with rain fly on though, no condensation in the tent or on the fly. The tent is slightly heavier than I like but packs down fairly compact when you don't us the bag it came in. 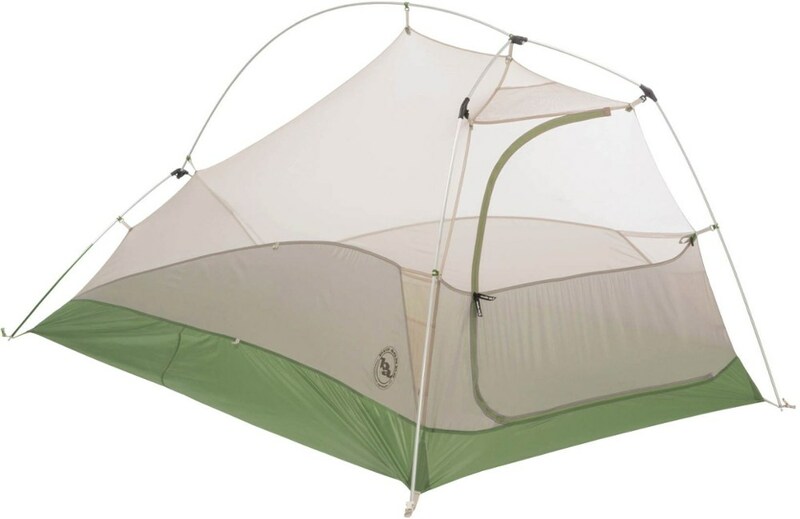 I recently used this tent on a rim-to-rim trek through the Grand Canyon. Quick and easy setup; I had no problem putting it up without instructions. Did well during a sudden downpour at Bright Angel campground--got the tent up in less than ten minutes and stayed snug and dry during the storm. One point to note--While this tent claims to hold two persons, that second person had better be a spouse or loved one. But the tent is light enough that the extra room for a single hiker is worth the slight increased weight over the Seedhouse 1. Tent packs up easily and fits nicely in the sleeping bag compartment of my pack (Kelty RC 5600). 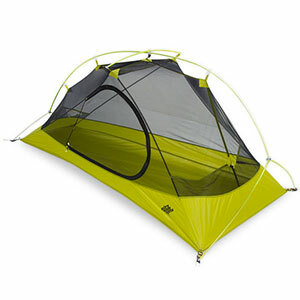 No hesitation recommending this tent to others. Used this tent on a mild weekend in the Red River Gorge, KY. Packed down tight and was easy to set up. The only complaint I have is this tent is too much room for one person, but not big enough for two people. Could probably have saved some space and weight with the SL 1. I got this tent for Christmas. I haven't used it yet but, set it up in my house. It looks like a quality tent though. It looks small for two people though. I'm 6'2" and can fit in comfortably. I wouldn't want to be in there with any one but my girlfriend though. I can't wait to test it out when all this snow melts. It sets up really easy, by myself. I set up this tent in the dark, with only a headlamp, by myself in 10 minutes, including staking time. The weight is great for a two-person tent. 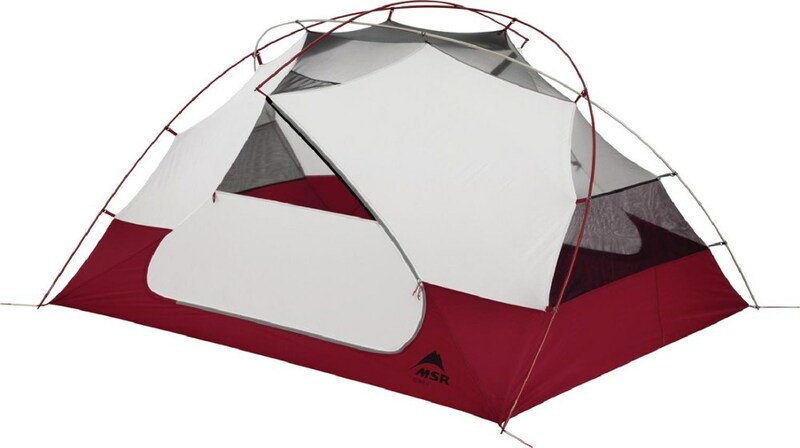 It's better as a one-person tent, as the sides of the tent are too low for someone to sit up, unless you're directly below the tent pole apex. I made sure to be gentle with the tent mesh, as it is somewhat delicate. 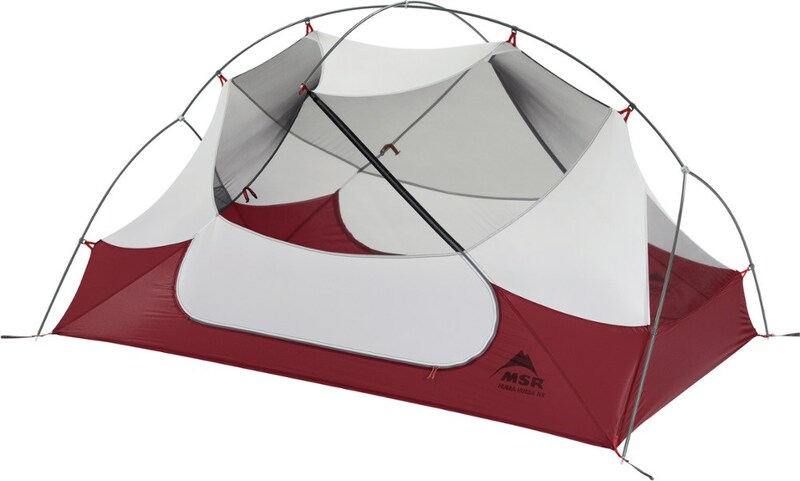 This tent is very easy to set up, one person can (and does) set it up with no problems. I have had no problems with condensation in the tent, and don't anticipate to as long as I keep the fly taut. If you're comfortable with your hiking partner, two people can fit into it comfortably, but as I said, you definitely want to be comfortable with the other person. If not, it's alright, you'll be comfortable with them the next day :) Overall I think a great tent and money well spent for me. Always looking forward to my next night spent in it. Weight: I'm on a motorbike need small not lbs. With no real instructions, a constant raining and nightfall approaching I eaisly fugured out what goes where. I found the workmanship excellent and the coolest thing, you can take the tent down from the inside and bag it whilst remaining dry and the only time I got wet was to quickly knock down the fly, fold the poles and gather up the pegs. I'd give it a 5 star but I don't have much experience Thanks.